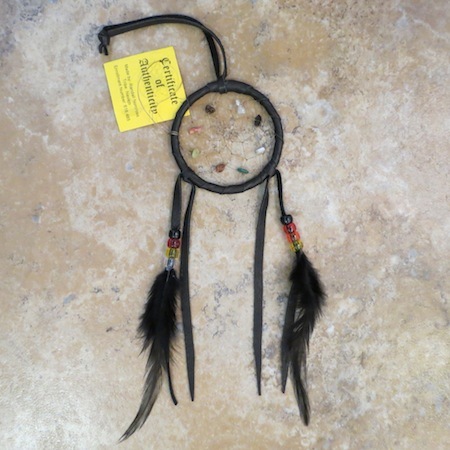 The Dream Catcher Legend Native Americans believe that a night is full of dreams, good and bad both. When the dream catcher is placed above where you sleep it catches the dreams as they drift by. The good dreams, know their way through the opening in the center of the webbing while the bad dreams don’t. Bad dreams are caught in the webbing and disappears when the first daylight comes up. This protects you from bad dreams. There are many variations of legends and styles. Some are done with willow and some with hoops. Each one is unique.